Last night marked my first meeting with the Aviator Whiskey Society, a society formed by Dublin Airport staff with an interest in the wonderful world that is Whiskey. The Society was established in October of last year and since then has hosted whiskey giants such as Irish Distillers, Tullamore DEW, Beam Suntory and Teeling Whiskey. The society has 65 members and counting, myself included, it is also a Non-Profit Organisation, allowing all funds raised to be put back in to the society for future tastings, events and distillery trips. I was very eager not to miss out on Glendalough Distillery with Eoin Kearney (Irish & UK Brand Ambassador) and a true Irish Legend, Pete St. John. Starting off with Glendalough Distillery themselves, it was set up by five friends (a very interesting story behind this, worth asking about if you ever come across any of them!) 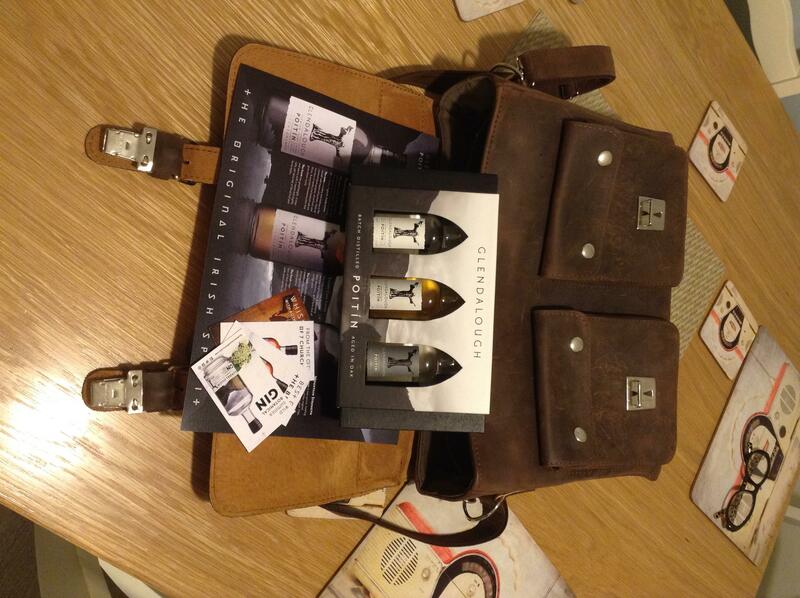 from Wicklow and Dublin with a deep passion for reviving the heritage of craft distilling in Ireland. Glendalough is one the few leading the charge in Irish Whiskey as part of, what some are branding, the “Renaissance of Uisce Beatha” around the world. These five friends, along with Eoin Kearney are spreading the word of whiskey gospel far and wide. Originally they started with Poitin but have since moved on to Whiskey and Seasonal Gins (I will cover the Poitin and Gins in a follow up post). A major influence and tale behind the bottling with Glendalough is St. Kevin, and because my Irish History is a little rusty when it comes to Saints, here is an out take from the website. “St. Kevin’s story is where our brand is personified. He possessed the courage of his convictions that so attracted people to him. Being born into Irish nobility didn’t stop him fiercely following his own path. He stood out as a true leader, building a civilisation in an isolated valley that would soon become known far and wide as “the city of seven churches”. For us, the story of Kevin and the blackbird, shown on our bottle, sums up the strength of character needed to turn your back on a privileged birth, break out on your own and still succeed on your own terms. Glendalough pulled out all of the stops, not only did they bring along their impressive selection of Whiskeys but also their Poitins and Seasonal Gins; Spring and Summer Editions. With over 30 attendees, including airport staff, eager whiskey buffs and bloggers, it was shaping up to be an exciting night. We kicked off with the Glendalough Double Barrel. A single grain whiskey, aged first in Ex American Wild Turkey Bourbon barrels and finished in Spanish Oloroso Sherry casks. A new and unique style of light and floral whiskey distilled in a Coffey still from a mash bill of Irish malted barley and corn. It spends three and a half years in American oak first-fill Bourbon barrels before being finished for six months in Spanish Oloroso sherry casks. The Bourbon barrels impart deep, robust chocolate and caramel notes, while the Oloroso casks lighten the palate with fruitier notes and touches of nutty tones. With both barrels being oak, you get that beautiful vanilla thread you’d expect to run through an Irish whiskey. Both barrels are porous too, allowing Ireland’s temperate, maritime air through to make its impression. A soft, slight yet rich nose with dark fruits; cherry, raisin and sultanas along with floral lemongrass/citron and a soft caramel notes. Sweet and creamy on the palate, with honey with underlying pepper notes bringing along sweet Bourbon Cask flavours with dried fruit returning through cherries and a slight vanilla syrup. Very light and delicate in body. Lingering notes of ginger spices with slight sweetness and a fruity after taste. After the soft, sweet opening by the Double Barrel, Eoin Kearney began introducing us to the Glendalough Single Malt Range; a 7 Year Old Single Malt, 13 Year Old Single Malt, and last but certainly not least, a Dublin Airport Exclusive; Dublin In The Rare Auld Times (10 Year Old Single Malt) which was delivered to us by the one and only Pete St John. ” Before he built his “City of 7 Churches” at Glendalough, Kevin spent 7 savage years in the wilderness. You see the number 7 has always been associated with the seekers, the thinkers and the searchers of truth. St Kevin was all of these and more. If Kevin was searching for an outstanding Single Malt then he certainly found it. The bottles feature St.Kevin and also the geograpical location of the “7 Churches of Glendalough”. An exceptional opening for a 7YO Single Malt with a touch of rich spice blended with sweet citrus notes, ripe apricot, peaches and vanilla. Amazingly smooth with rich vanilla, heated caramel combined with spiced orange peel and dried figs followed with slight oak and wood resin leaving a soft vanilla on the tongue. Lasting finish with a lingering spice married with elegant fruity notes. Next up on the paddle was the Glendalough 13 Year Old Single Malt, an unlucky number to some, but for those who know the story behind this Whiskey, No.13 is actually quite lucky when you’re Irish. This whiskey is for a very special Irish Athlete who goes by the name Brian O’Driscoll. BOD is an Irish Treasure, a Rugby Legend and a very worthy man to have a Whiskey of this standard carry his Irish International Number on in his stead. Opens with a depth of honey leading in to citrus peel, slight lemon and orange, followed by clove spice. Strong apricot and orange on the fore front moving in to vanilla, slight peach and dried spices. Lingering fruited finish with creamy malt and deep, intense vanilla. Last but not least was the DAA Exclusive, Dublin In The Rare Auld Times. This whiskey is a partnership between Glendalough and Pete St John, best known for composing “The Fields of Athenry”. St John took the stage and gave the crowd some NSFW jibes and jokes about his upbringing with a lady named Sideways Sheila and his introduction to whiskey as a wee lad in the concrete jungle that was and still is Dublin. 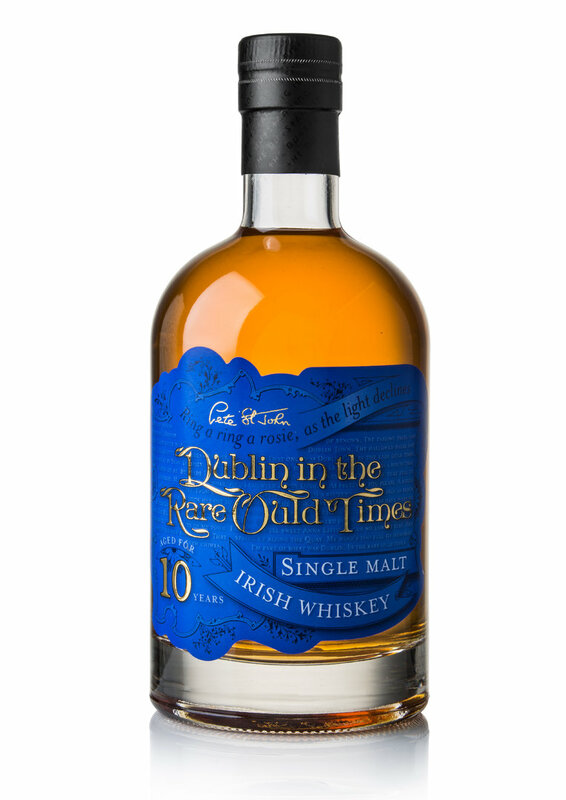 Dublin In The Rare Auld Times is a 10 Year Old Single Malt held in First Fill American Bourbon casks and chill filtered to 40% ABV. This whiskey can only be found in Dublin Airport and retails at €60.00. A smooth and elegant malt, releasing creamy notes filled with soft spice and almost tropical fruits. Burnt orange peel and fig with a lingering vanilla. Long lasting spice, evident from it’s bourbon cask that lingers and creates and indulgent vanilla and caramel finish. The Aviator Whiskey Society holds meetings on a Bi-Monthly Basis in the ALSAA Complex in Swords and welcome all of those interested in whiskey as a passion, past-time or just want to come along for a taste. Fantastic first blog from this seriously knowledgable whiskey blogger! Give it a look and give him a follow perhaps!